New dating app DonaldDaters was supposed to help lonely conservatives find each other discreetly. But the app leaked its database of users on launch day, a report said Monday. 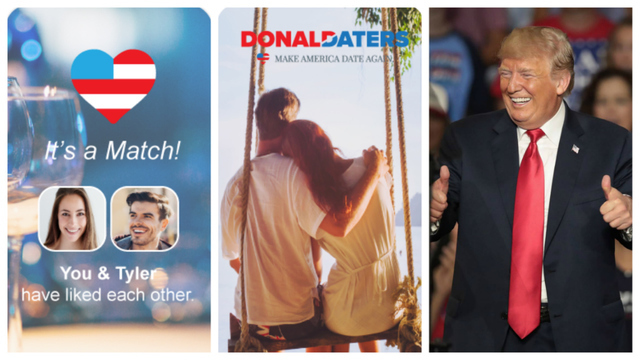 With the slogan “Make America Date Again,” the app targets the “American-based singles community connecting lovers, friends, and Trump supporters alike,” its website says. The app had just over 1,600 users on its first day of operations, technology news site TechCrunch reported. TechCrunch said it learned the figure because a French security researcher found “issues” with the app, making it possible to download the entire user database. The researcher “shared the database with TechCrunch, which included users’ names, profile pictures, device type, their private messages—and access tokens, which can be used to take over accounts,” it said. TechCrunch said the data was pulled offline after it contacted the app maker.